Sea Twirl, an alternative energy initiative focused on wind power, has launched a new vertical axis wind turbine off the coast of Sweden. The turbine is one of the very few designs that diverge from the construct of traditional wind turbines. Sea Twirl’s offering to the world of wind power has only one moving part, making it much more durable than other models. The durability will come in handy as the turbine is designed to be set adrift off the coast of Sweden, where violent waters and storms are not uncommon. 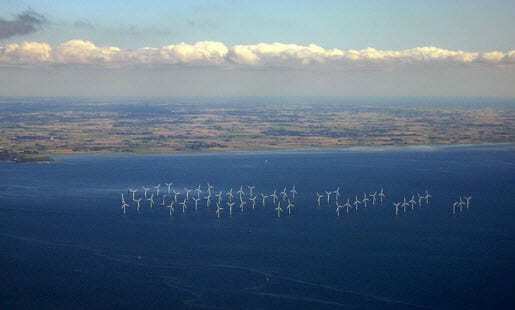 Like other wind turbines, the Sea Twirl will have to contend with lulls in the wind stream. The designers of the turbine, lead by Daniel Ehrnberg of the Chalmers University of Technology, claim to have solved this problem by making the turbine’s flywheel incredibly heavy. The weight ensures that the wheel will keep spinning and generating electricity whether there is wind blowing or not. While the wheel spins, it generates electricity that powers a small engine that will keep the wheel spinning indefinitely. The ocean is a hotbed for wind power. Offshore wind turbines have been growing in popularity amongst alternative energy advocates, but few nations have worked toward incorporating such systems into their energy infrastructure. The Sea Twirl may show how innovative design can make wind power more viable for countries looking for a decent alternative to oil.